How about a break from the saffron experiments with doll clothes? Below are three of the pecan tree pinholes photographed in New Mexico just after Christmas. I hope to create large scale, single color gums of these and have then ready for the Naturalists exhibit here in Dayton next September. BTW, the Naturalists has a new working title of In Vivo. From left to right, pecan tree #8, #6, and #4. This will be a bit of a strange detour for me. Doll clothes. Somehow in my search for sleepwear, a bathrobe for a Ken doll came up. That led me to pajamas for Ken which in turn led me to Barbie’s Nightie Negligee. Despite the oddness of working with doll clothes, it did solve a couple of problems. Scale. Making tests that would fit into smaller printing frames. Now I can try different plant materials on smaller sheets of paper before committing to a larger sized sheet of paper able to fit adult sized sleepwear. Light Resist: The Nightie Negligee is interesting because of its transparency and opacity. It has distinct lines and a sheerness that will allow light to be held back or to freely pass depending upon the layers and folds of the garment. In other words, I don’t have to cut it up. The exposure begins today, overcast and twenty eight degrees Fahrenheit. 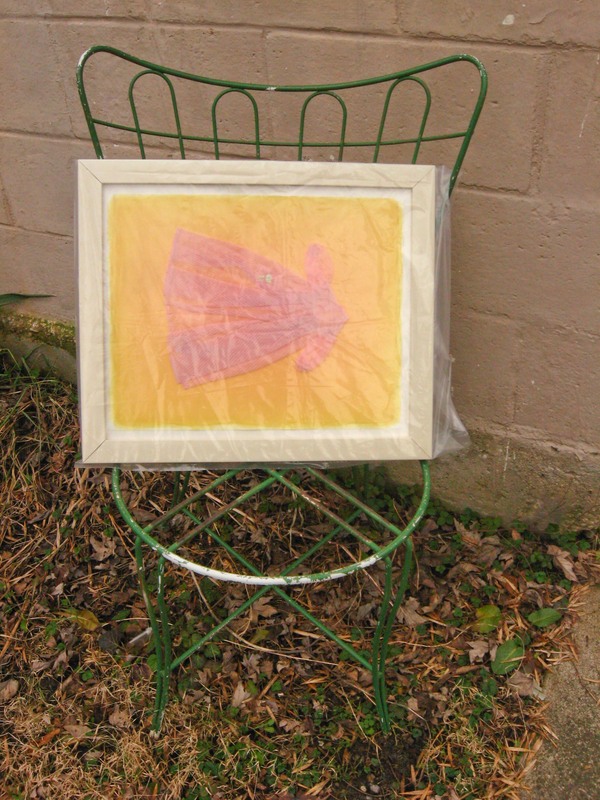 The Anthotype (ten coats of saffron emulsion) should be safe from the elements. I’ve wrapped it in a plastic bag to protect it from the elements. There will be two more of these “tests”. One will be the other half of the Nightie Negligee and the other Ken’s Pajamas. One possible direction for this project might be homemade Ken and Barbie sleepwear. I need to sleep on it. Regarding the title of the post, yes it is a nod to the name of the official Twin Peaks Fan Club newsletter. 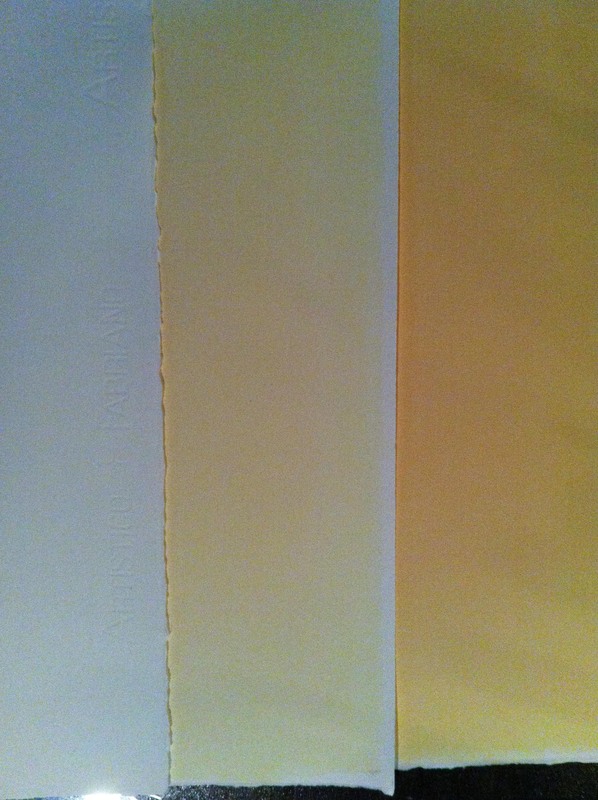 Yesterday and today I have been coating the saffron emulsion onto Fabriano Artistico Hot Press Extra White. The emulsion was brushed on with a foam brush. Keep the brush as perpendicular to the paper as possible and don’t apply too much pressure on the paper surface. The more coats applied, the more likely the nap of the paper will get pulled up. 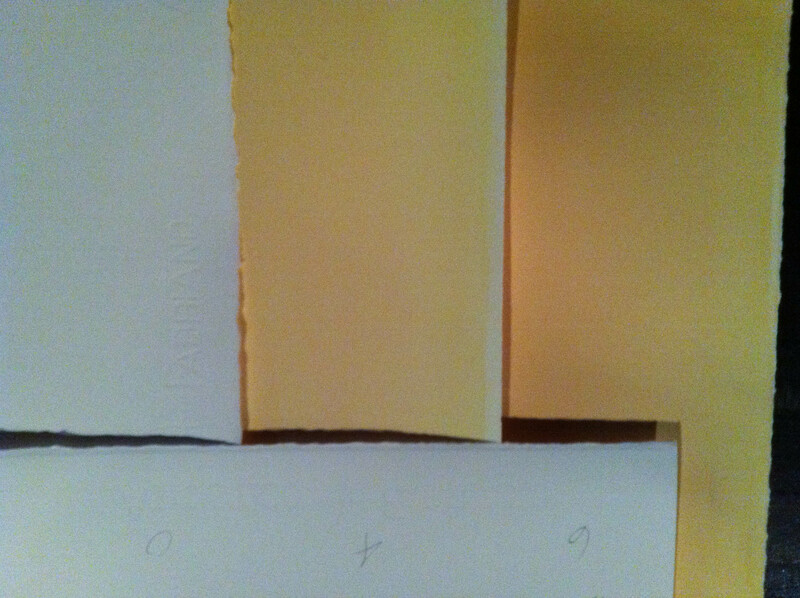 The color is becoming more concentrated around the center of the paper. I believe this is because this is where I pour the emulsion on (about 6 cc per coat) before brushing outwards. 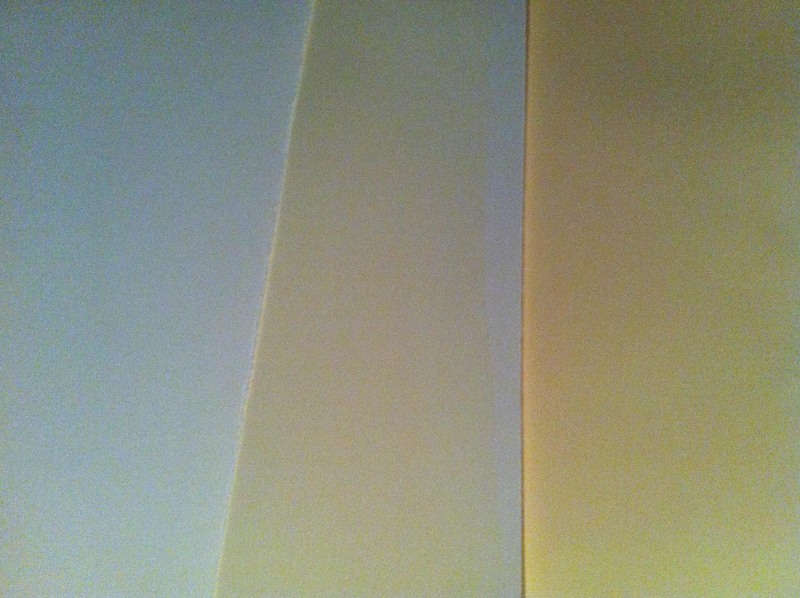 I will probably go through the entire 100 cc of emulsion I made on two sheets of 12″ x 15″ paper (and stop there). 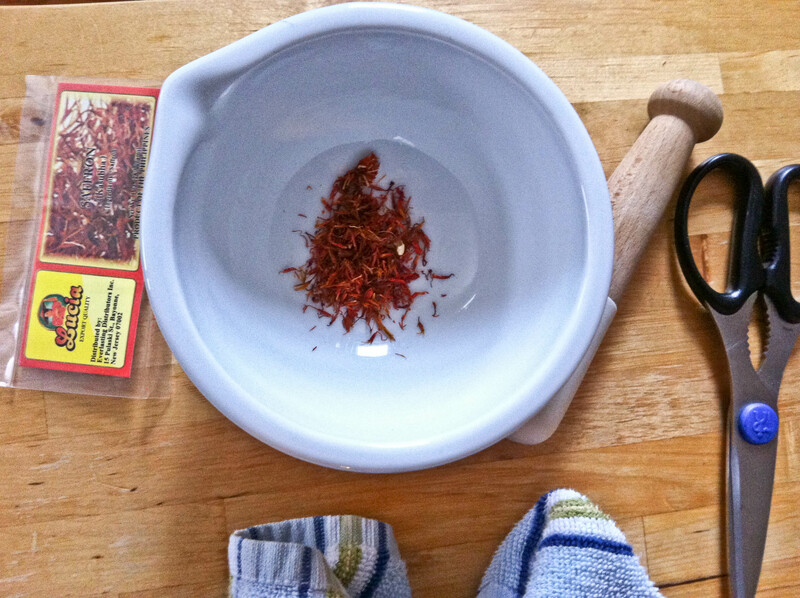 Today I began the Great Saffron Experiment. It will be great if it works. 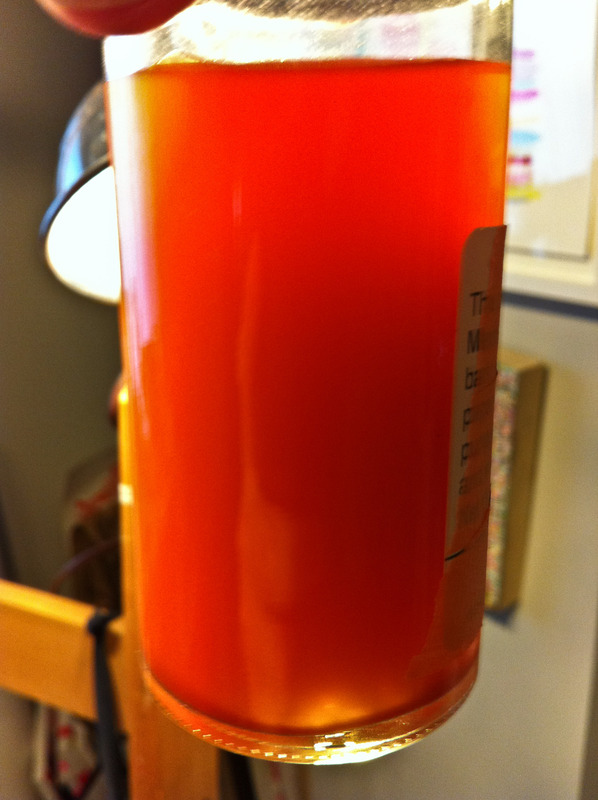 My intent is to use saffron as an anthotype emulsion. This afternoon was primarily preparing the liquid which will be applied to paper as multiple coats to build up the color. Below are pictures of the process. 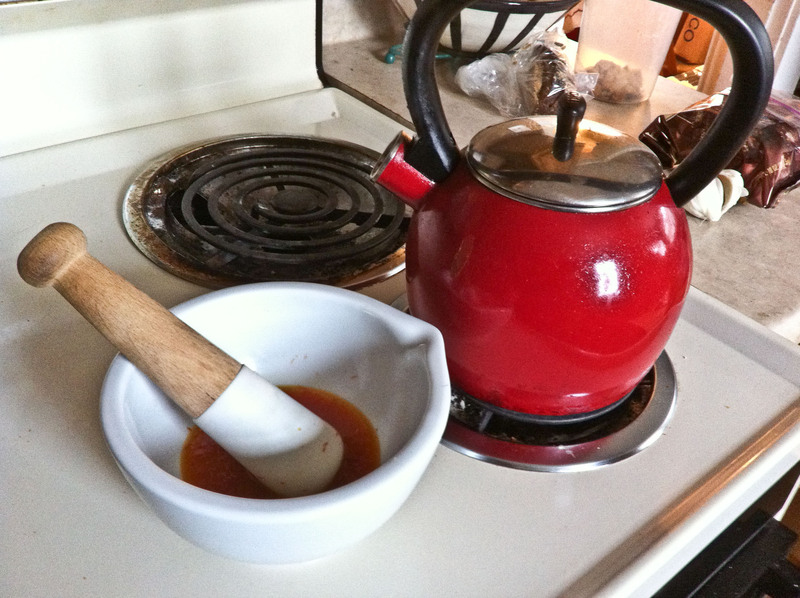 I used about two teaspoons worth of saffron. A little goes a long way. Added hot water little by little, mortar and pestling (I hope that is the verb) the saffron leaves as they absorbed water. 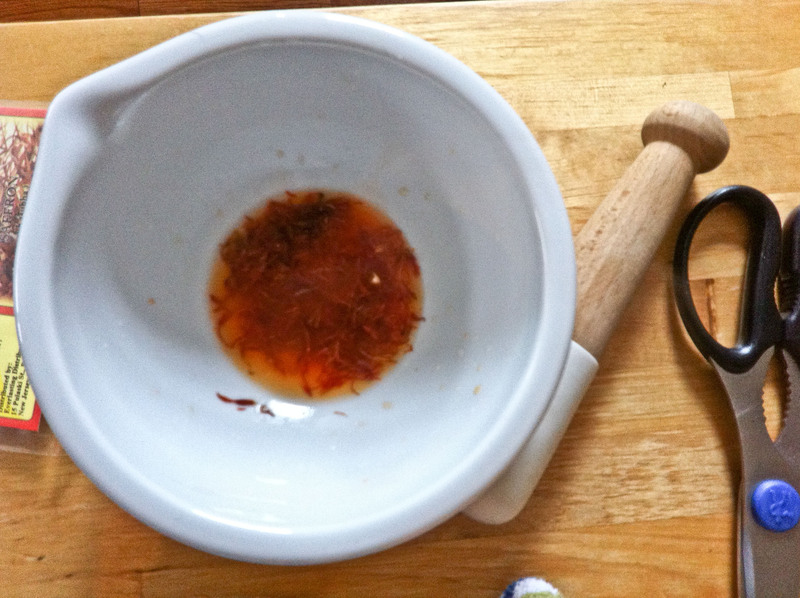 Pulled off the liquid from round one of crushing the saffron in hot water using a transfer pipette. Filtered it through the mesh filter. I had about 70 cc of liquid at this point. Re-pestled the saffron. At this point it was effectively a saffron poultice. Added more liquid. 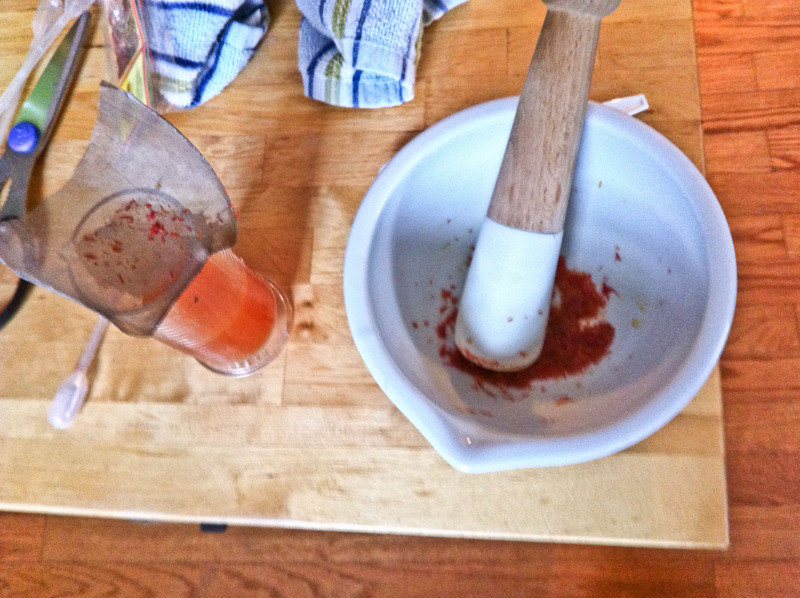 Continued to mortar and pestle. Pulled off the additional liquid and filtered it through the mesh filter. Just as an additional experiment, I added a few cc’s of Everclear (alcohol) to the remaining poultice to see if I could leach out a little more color. It helped a little but probably added to the cloudiness of the collected liquid. From the pictures you should notice that I strained the hot liquid through a piece of a gold mesh coffee filter. The collected liquid did have a suspension which was too fine for the coffee filter but it did settle down to the bottom of the glass jar after a few minutes. A new semester is approaching which may not leave much time for posting blog entries. Maybe. 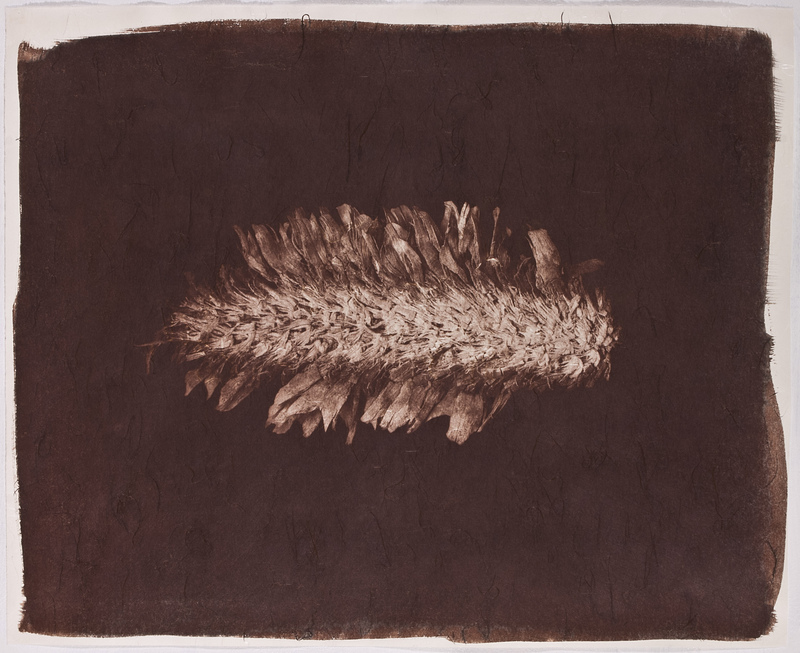 In the meantime here is the second of the new vandyke brown prints, “Untitled (Flattened Cone)”. Specialist secrets is a term I came across in reading a review of Thomas Struth’s exhibition in Portugal (or was the review referring to a showing in Dusseldorf?). Is a term that stuck in my mind and I want to title a piece after it or a create a piece specifically for it. After a couple of days of sun and a suddenly cooperative NuArc plateburner, I have a couple of new pieces to push out into the world. Now the winter rain is back and I am finding myself with a weak but noticeable bout of season affective disorder (self diagnosis). What are the secrets of this specialist? I am having better luck working without toning the vandyke brown prints (at least for the moment). It is easier working with the NuArc 261K than it is with natural sunlight for exposing the kallitypes. It is more romantic to work with sunlight (think Fox Talbot’s Reading Establishment). 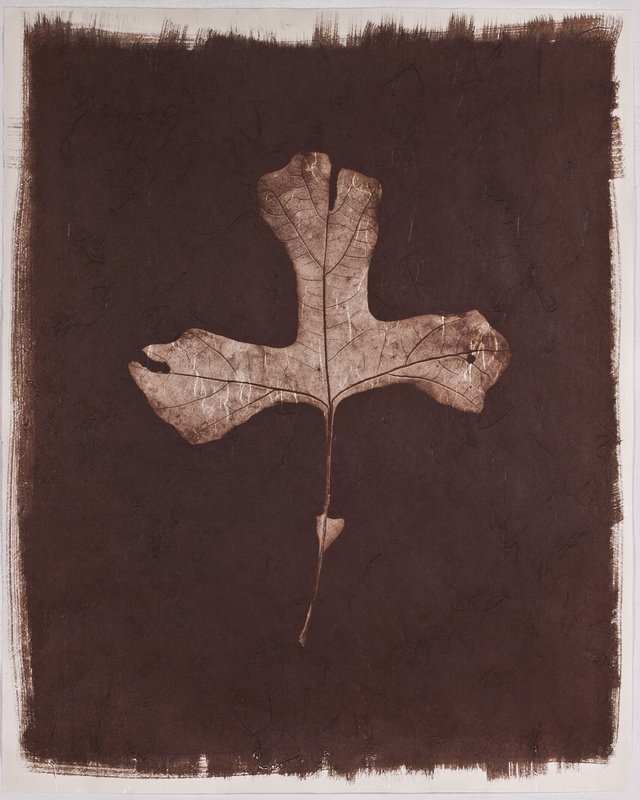 The Forces of Nature images can be broken down into leaves, fruit, pollen, bark and roots. The bulk of these images are leaves followed by fruiting bodies. 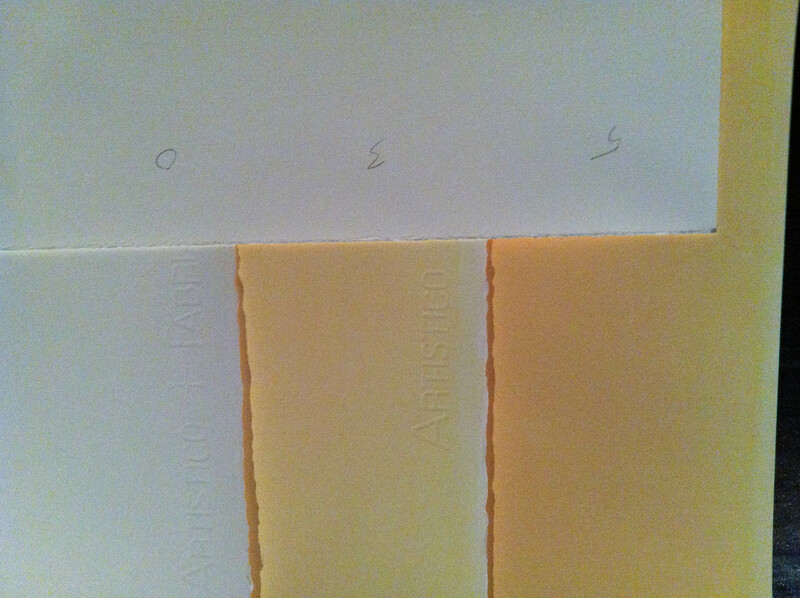 and one more secret: I want to make anthotypes with very yellow tumeric. 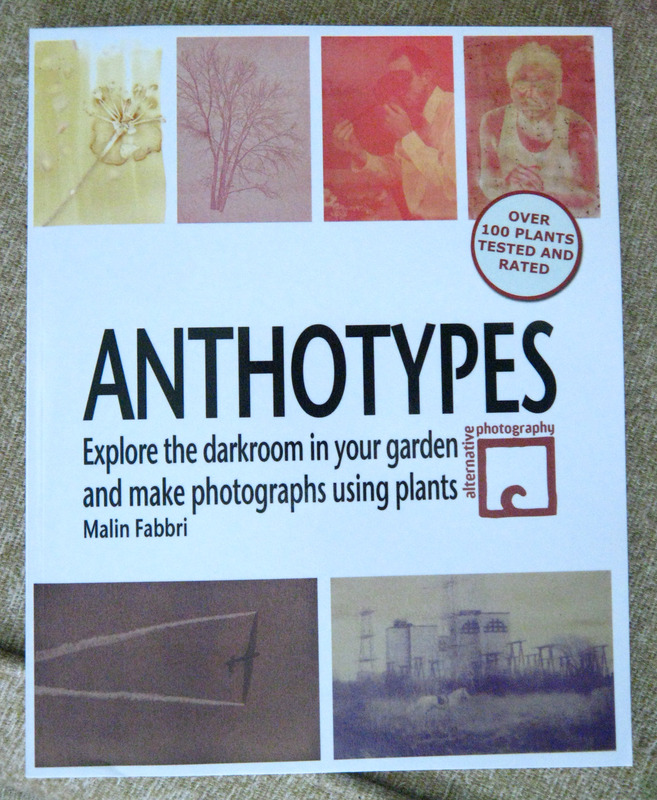 Malin Fabbi’s book, Anthotypes – Explore the darkroom in your garden and make photographs using plants, has been published. This is a book that I was able to proof read and offer suggestions. 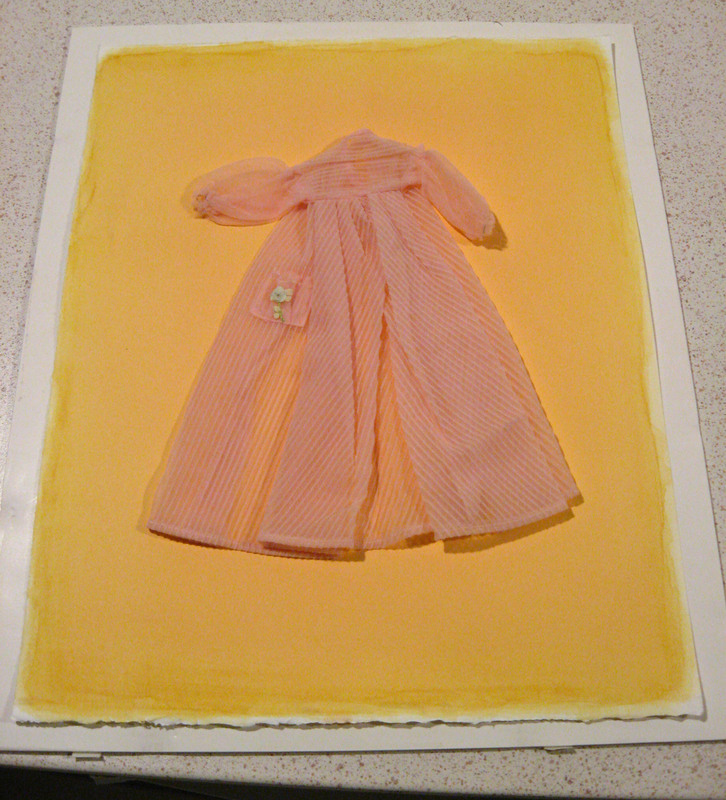 Additionally, two of the pre-Boston Anthotypes included the faded and rained upon Clem Wolford Pajama Top in pokeberry (p. 83, 85), are included within the book.